However much you may want to stay by their side, helping them over every hurdle, the truth is you can’t – or more to the point, you shouldn’t. University life is one of great adventure and discovery. Students meet new people, forge new ideas and re-define old ones. It is a time of excitement and great energy and it should lead to life-changing paths. Conversations around independent living, study, money, friendships and of course safety are all invaluable. Here are some tips to discuss with your child so they will not only thrive but survive their time on campus. Get organised and maintain balance! – Prioritise, plan well and balance responsibilities. Explore your campus and take advantage of the tours available during orientation week (library facilities, study hubs etc.). – Find out your course requirements, due dates for assessments and HECS cut-off dates. Mark these dates in your calendar. – Use your breaks wisely and productively by taking advantage of your ‘dead time’. This means doing pre-reading or prayer while travelling to uni. – Create a study routine and remember that some days will be long and tiresome. There will be late nights but these should be kept to a minimum. – As a student your state in life is to study so you must do so as well as you can. – Make time for other important things including family, friends and sport. Take care of yourself and ensure that you eat, drink and sleep well. – As you prepare for exams, complete past papers (if available) and ask for the intercession of St Joseph Cupertino!! – Ask questions and don’t be afraid to seek help early. – Seek professional help when you need it. Take advantage of the study resources on campus. – Ask your professors and tutors questions if you don’t understand. – Each campus offers counselling, chaplaincy services, financial assistance, career advice, academic guidance and medical facilities. Take advantage of these services. Get involved – Join the Catholic Society at your campus!! – Every campus has a large number of clubs of societies on campus. Join a club of your interest and be part of your faculty group. This can be done during orientation week or online. This is a great way to meet new friends and network. – Don’t be shy to introduce yourself to new people. 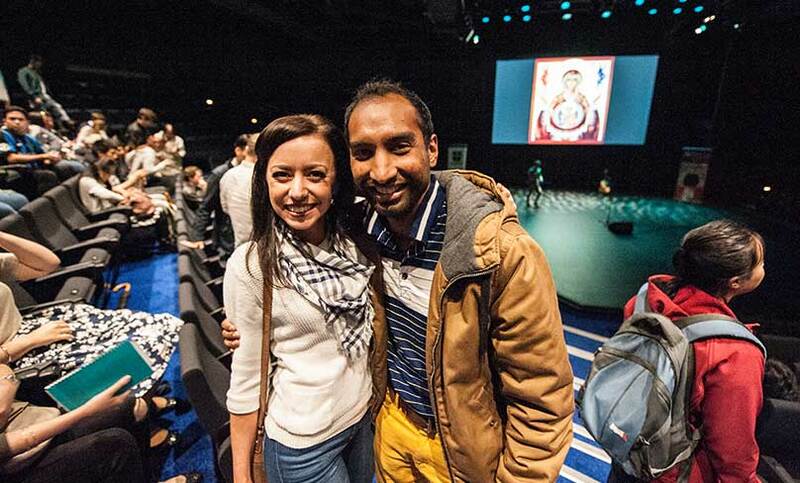 – The Catholic Society is a great place to meet new friends and seek the deeper things in life. The University Chaplaincies, along with the student led Catholic Societies, endeavour to facilitate a positive and formative experience that aims at forming well-adjusted men and women for today’s world. – The Catholic Society offers activities such as charitable service, discussion groups on ethical matters of concern, study camps and retreats. – Take a look at our website unicatholics.org.au which gives a general overview of what is happening. 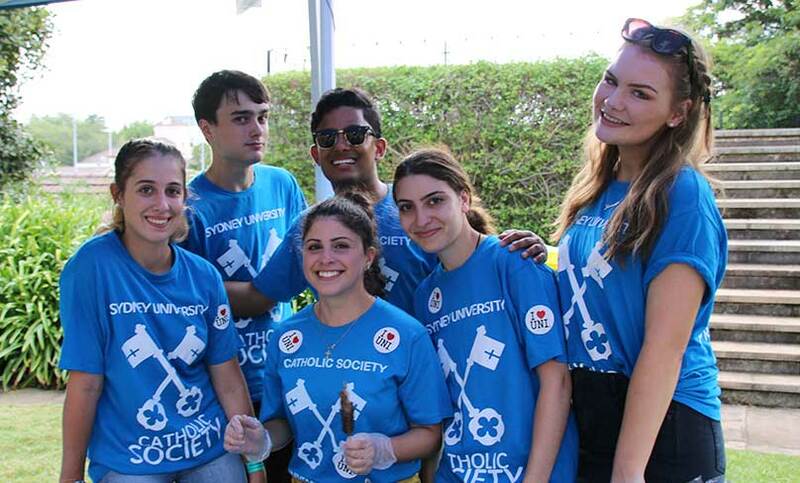 – Catholic Chaplaincy open days are being held at USYD from February 20 to 22, UTS February 28, UNSW February 11- 15 and Macquarie University between February 18 and 22. – Uni can get very busy at times but always remember to make time for God a non-negotiable part of your daily routine. Make time for prayer, even if it’s just 15 minutes a day. This could be praying the rosary, reading scripture or visiting the Blessed Sacrament. – Enjoy your time at uni and don’t be too hard on yourself and remember to always smile! !